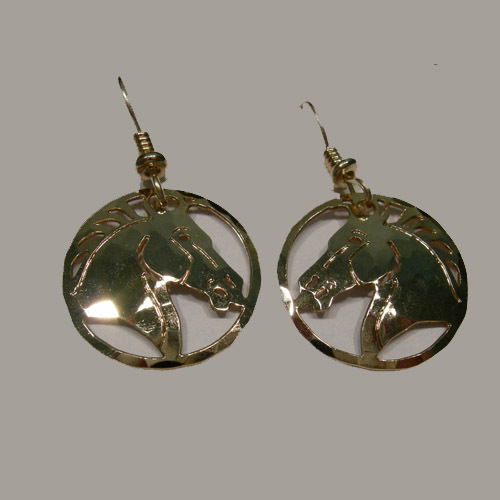 Desc: 14 karat yellow gold plated stallion horsehead dangle earrings. Each earring has a proud stallion head inside a circle hanging from shepard hook style earring mountings. The earrings have a light hammered gold finish.